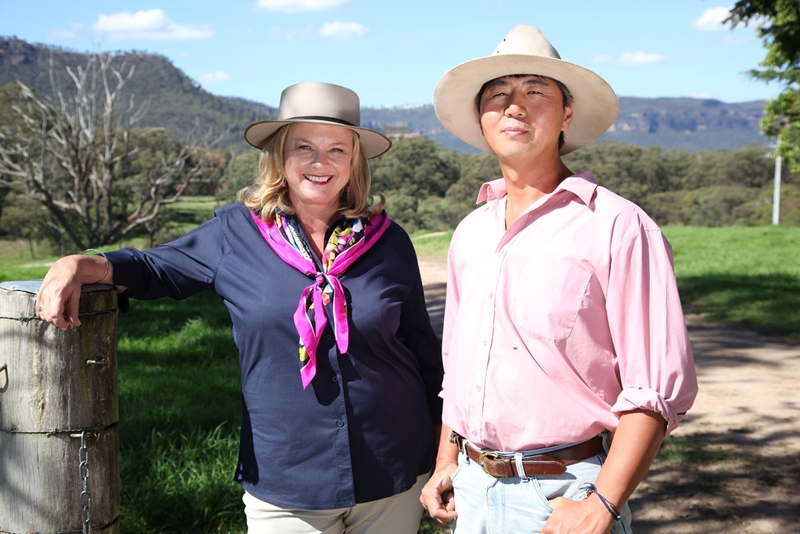 After Taste of Australia winning Best Food TV Show in the World about 2 weeks ago, I’m delighted to announce that Foxtel’s LifeStyle FOOD is doing an encore of Taste of Australia and will be airing on Sundays at 12.30pm! While snow bunnies love the Snowy Mountains in NSW, there’s plenty to do when the snow melts. It is a miraculous place to visit in summer, driving through the dramatic landscape with the ghostly snowgums. There’s something incredibly pure and fresh about the mountain air and the intense flavour it gives the produce grown there. A great place to shoot the first episode of my Taste of Australia! Standing on top of Mount Kosciuszko, 2228 metres (7310 feet) you feel as if you’re on the top of the world, or at least the very roof of Australia. The view from the chairlift is breath taking and I’m not sure if I admired the mountain bikers careering down the mountain or my cameramen shooting as we travelled up. As for me, I couldn’t resist singing “The hills are alive with the Sound of Music” – but you’ll have to wait for the end credits on the show to see that! When I was a kid, I learned about the Snowy Mountains hydro-electric scheme and I remember being fascinated by this when my family stayed nearby one summer. It was largely built post Second World War by the many migrants who came to Australia with the promise of a new life. Thirty-seven different nationalities built this great engineering feat – and many had been at war with one another only a few years previously. Just shows the futility of war. This was explained by the fascinating Tomi Tomasi who worked on the scheme – now in his 80s and still skiing 7 hours a day in winter. As I interviewed him, we had our only bad weather, so we retreated inside to the foyer of Horizons Resort in Jindabyne where we were staying. See if you notice the change of location when you watch the episode! Don’t do this on camera! This scheme means there are plenty of lakes and water courses in the Snowies. But fishing is always a challenge on camera. Those fish seem to resist starring performances and those in Blowering Dam were no different. I was really keen to catch my own Murray cod, as I have long been a fan of this meaty native Australian fish. However, this was not to be, so luckily I had brought one with me to cook Murray cod with peperonata and wilted spinach. Hobbit Goat Farm, at 1350 metres, is Australia’s highest dairy. Here these inquisitive animals wanted to jump into our cars, eat our equipment and be part of the action. I found them endearing and remarkably fearless and even tried milking one by hand, before sampling the superb array of goats cheese and using one in my Spicy goat’s cheese quesadilla. Schnapps warms you from the inside out! Not only was the produce stunning but I was blown away by the generosity and hospitality of the people we met. At the award-winning Wild Brumby distillery raspberry schnapps is made from estate grown raspberries, bugs kept away by companion planting of tansy, horseradish and garlic. Brad Spalding was previously a ski school instructor and he and his Austrian wife Monica run an immaculate café complete with distillery on site as well as making a wide range of schnapps, ideal for the alpine lifestyle. 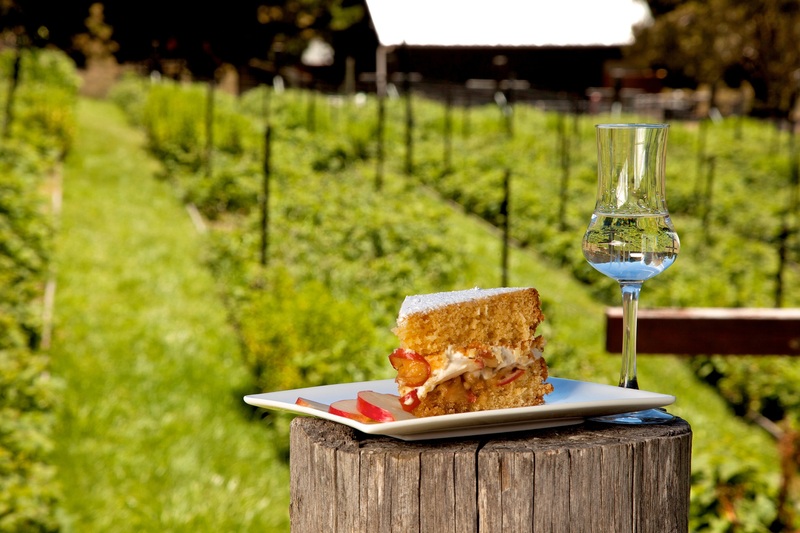 I used their Pink Lady schnapps in a sensational Pink lady apple and coconut cake. Later at the end of our working day we called back and relaxed over some of Monica’s favourite German beer and homemade duck and trout pates. I have to say several bottles of schnapps made their way back with us to Sydney! Wild brumbies are the stuff of myth and legend in Australia, immortalised in poems and films. A brumby is a wild horse and Snowy Mountains brumbies are descended from the horses which came out on the First Fleet. I met my own Man From Snowy River, Justin MacIntosh who offered me a five day ride at the Snowy Wilderness Resort. I’m always up for a challenge but riding for the first time since I was a teenager, preferred trying his Smoked Trout Frittata cooked in his camp oven. 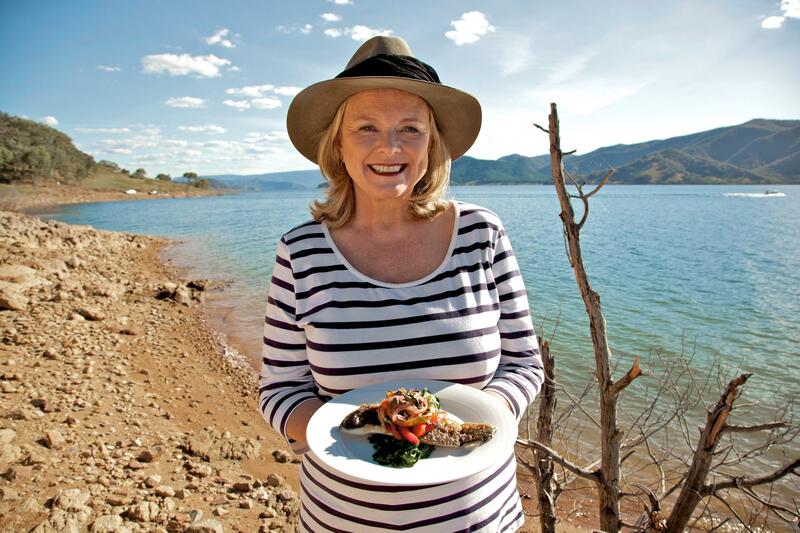 If you have enjoyed Lyndey Milan’s Taste of Australia, the book of the same name is available from all good bookstores or www.flamedistributionstore.com , the book was recently been named ‘Best TV Chef Cookbook in English’ at The Gourmand World Cookbook Awards. 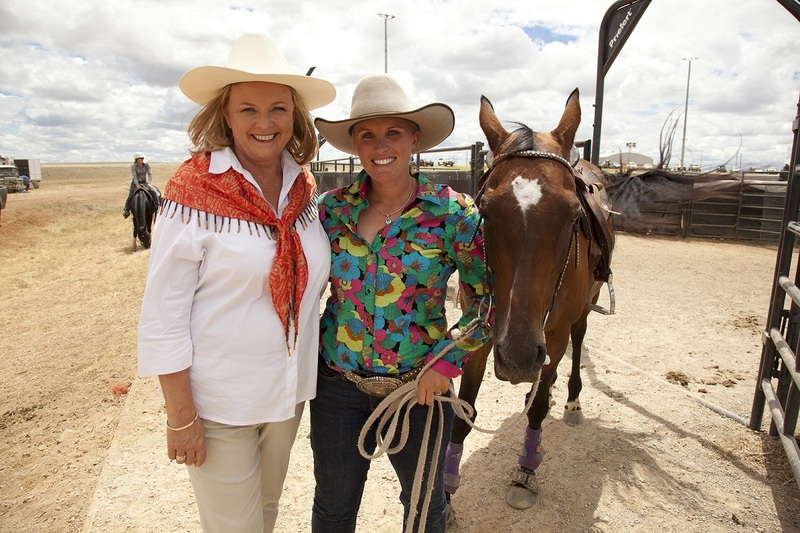 Hi Lyndey, Just watched your Episode 4 at Orange. Please may I have recipe for the Olive Oil and Pear Caramelised Tea Cake, did write it down as I was watching, but required exact measurements, thank you. If you can’t I will purchase your recipe book, with this recipe in it. Thank you. 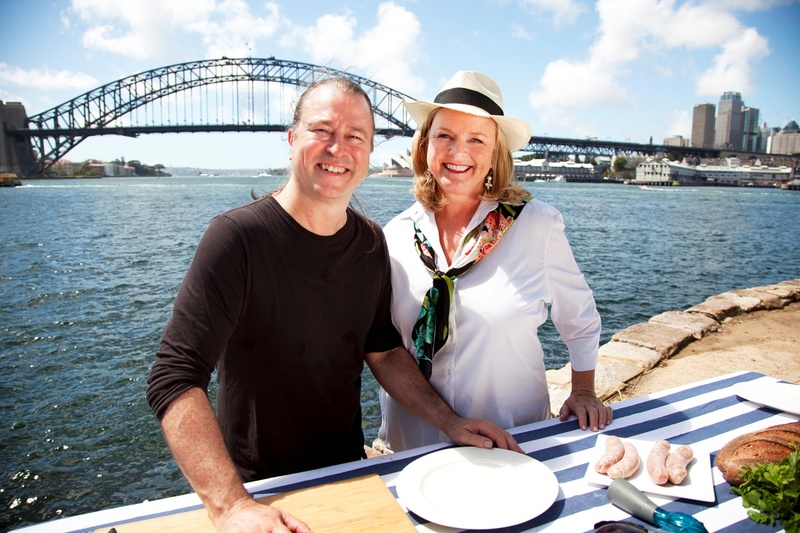 Thanks for watching Taste of Australia! I am after the Asian fish recipe that was on TV on 11.5.14 thanks! Hi Tahlia, you can find the recipe for Steamed Brook Trout with Salmon Caviar by clicking here. 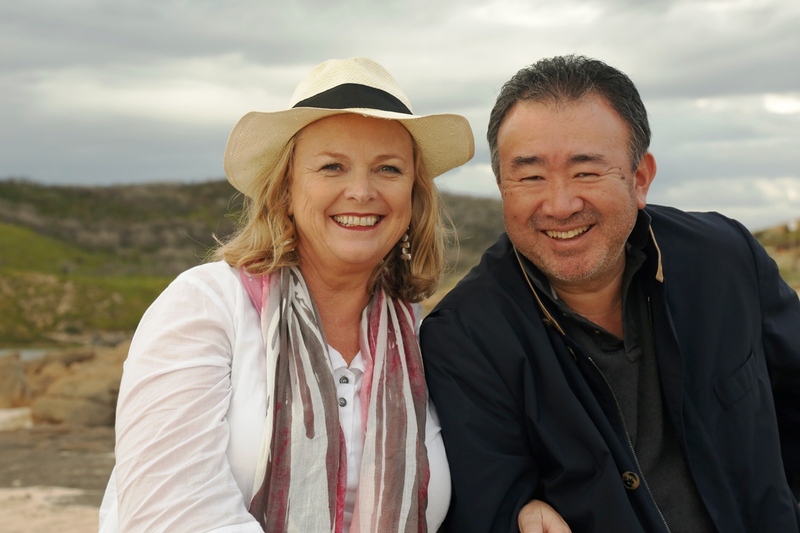 Thank you for watching and we hope you enjoy the rest of the series! Would like to watch the episode on Orange, as my cousin owns Printhie Winery. How can I do this? Hi Alison, thank you for your comment. 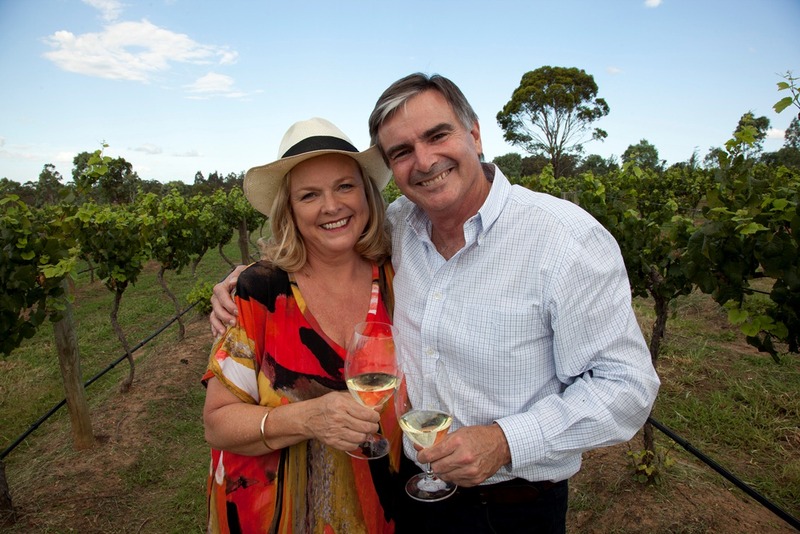 You can watch episodes of Taste of Australia for 14 days after the episode has aired on 7 Catch Up.